People, who distractedly stare at the mobile phone and book their next vacation in the middle of the shopping mall. The possibility to transfer money from any location to any place in the world. The transparency of people in the 21st century. All of those are the effects of the digital transformation. This term describes the process, where the borders between the real world and the virtual world merge. It’s an exciting outlook into the changes of society in the 21st century. What are digital transformation and digitalization? 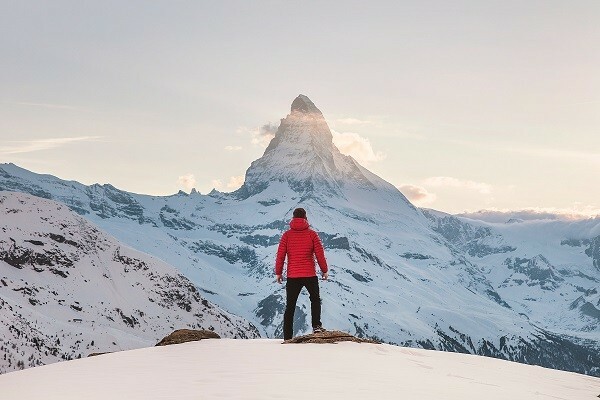 What opportunities does the digital transformation offer companies? 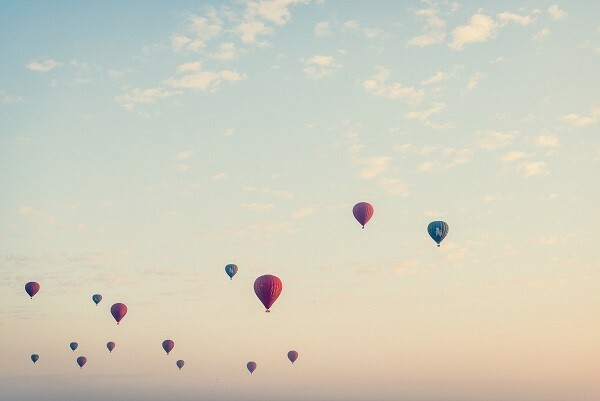 How can companies use the potential of the digital transformation? 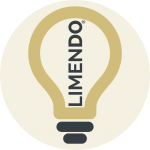 Use the potential of the digital transformation with Limendo. We will gladly call you back with no obligation to you. The first conversation is completely free. The foundation of the digitalization was formed with the first computer and at the very latest with the invention of the internet. The so-called ARPA-Net, the precursor to the internet, made it possible to communicate with your colleagues in the US Department of Defense via the computer, so you no longer had to walk to the end of the hallway to talk to the person. The communication turned digital there and then. The changes that followed this invention became more and more significant. At first, they only affected isolated companies, then it branched out into whole economic industries and today all of the social and commercial areas are intertwined with each other like a finely spun spider web, reaching every nook and cranny in the world. In the year 2000, the world’s economy experienced one of the largest crashes in history. The digitalization was pushed forward through thousands of Start-up companies. And many with abstruse and strange business models. Many failed. But the digital transformation was unstoppable. The now highest valued companies in the entire world are the children of the digital transformation: (1) Apple with its Smartphones and App Market Network, (2) Alphabet (Google) with its search engines, (3) Microsoft with its operating systems and Cloud options, (4) Amazon with its gigantic eMarketplace and server services, (5) Facebook with its worldwide social network. Back in December 2017, they were worth over 3.000 Billion Euros combined. Ranking in 6th place was the first conventional company Berkshire Hathaway, the most successful investor in the world. It is important not to mistake the two terms terms digitalization and digital transformation. transformation with each other. 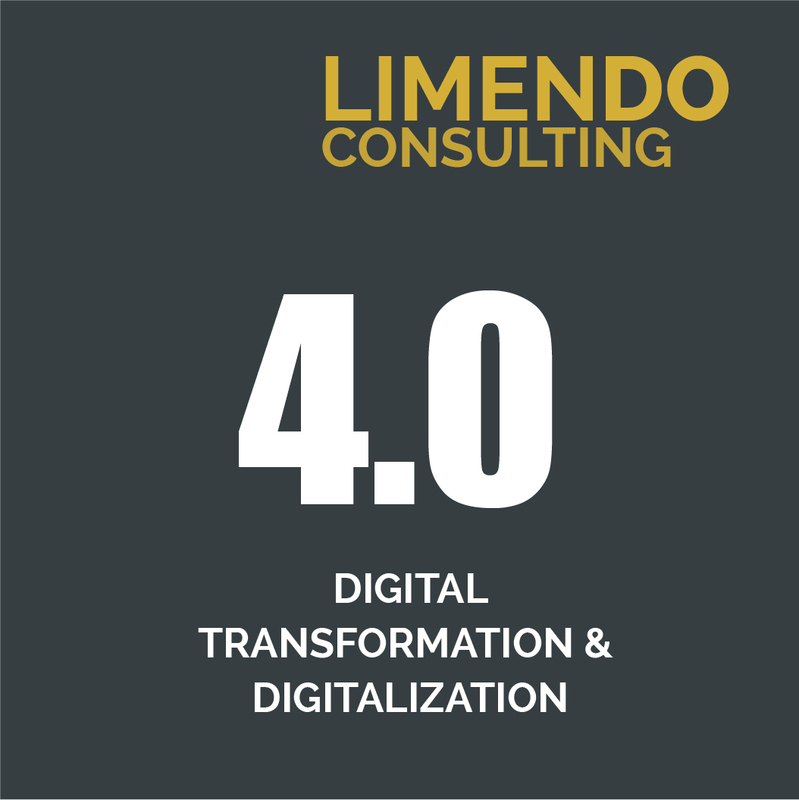 The digital transformation reaches much further than the pure digitalization.Limendo is specialized in finding the potential digital transformation within companies and to then implement these findings, making them a reality. For example, you will find a lot of companies in the market that will create a simple App for you. However, Limendo takes everything a big step further. We will evaluate first, if there is even a benefit for you and your company in the development of such an App. Possibly, other methods and processes could potentially be much more efficient and beneficial. Furthermore, we not only focus on the end client and their profit. We will also find out, if and where internal improvements to your processes via digital transformations would make sense. Digitalization is the process of expanding existing processes with digital elements. So far, a hotel has only taken on reservations via telephone at the reception. From now on, this hotel also offers online-bookings via their website. This way, the business is being matched to the market step by step. The digital transformation takes this a step further. Here, you would dip into the full possibilities of the digitalization to create new business models and processes. The hotel uses the opportunity of the online room-booking service to be able to offer better prices to their customers. Whoever books a room online will receive a discount. The customer saves the time of the hotel employees at the reception and therefore receives an additional booking incentive. Furthermore, the digitalization now enables the hotel to be linked to internet booking machines, which in turn increases the reach to its target groups. It can collect client data, which are later used for direct marketing purposes. The digital transformation does pose some risks, but it also significantly increases the potential for any company. Whoever knows how to use it to their advantage will become one of the winners of the digital transformation. Today, radical and very fast changes in business models can be observed everywhere. Instead of buying clothes in a small boutique directly from a friendly sales person, nowadays people are being led through online shops by virtual online shopping consultants. Since their sizes are already saved into the system, the consultant immediately finds the right pants, shoes and shirts, whilst a human sales person would have to take the client‘s measurements first. The digital transformation does, however, jeopardize these classic stores. Instead of ordering a cab via a cab company, now you can simply borrow a car from a stranger via a mobile App, which only costs a fraction of the price a cab driver would charge. You don’t even have to play chess yourself anymore – they have already developed intelligent KI-systems like Watson. Back in the day, one had to carefully put a record onto the record player to listen to their favourite music, but today, all you have to do is start your mobile App or plug in your USB stick. It is no longer necessary to go to a store to buy any material goods. What’s worse: Many of these goods are no longer bought, but merely borrowed or rented via some streaming subscription service. It is much more lucrative to invest once into functional digitalization technologies than to continuously pay employees’ salaries. Lowering processing costs costs and increasing profits will lead many businesses to opt for digital solutions for production as well as administrative processes and tasks. Obviously, this has significant consequences for you as employee: in today’s world, it is imperative to offer I wide range of skills and additional education, to beat the modern employment market and to be ready for any competition tomorrow. Lifeless objects and items suddenly get a soul. Digital twins are created, which exist in the physical as well as in the digital world. Additionally, things are being connected into a network: is Europe’s chance to take a big piece of the cake that is the digital transformation. Smartphones remember the GPS data of the daily commute and will provide the user along this trip with targeted advertisements, like for example the best restaurants along the route. Programs will memorize the interests of the users, which enables them to promote products and services specifically aimed at that person. This minimizes divergences loss and enables businesses to utilize their marketing budgets more specifically and fully. People are interconnected via social networking and platforms. This makes the entire market more transparent. Friends can see about each other, who has used a certain service or who bought what kind of product. For businesses, this provides risks as well as opportunities. For example, positive as well as negative experiences are being shared easily. Speed is an essential topic regarding the digital transformation. Nowadays, it’s primarily no longer important, who’s best, but who is the fastest. Entire business models are now being built around this aspect. Example: Whomever is able to understand the client the fastest will be able to make the first offer. If you can provide your potential client with an offer first, it is more likely that said client will choose you. Who would wait for 2 days to receive an offer from a hotel, when you can book a room within seconds these days. This was only a small insight into the consequences and possibilities of digital transformation. In the 21st century, the question is no longer, if a company wants to take part in the digital transformation, but rather: how! 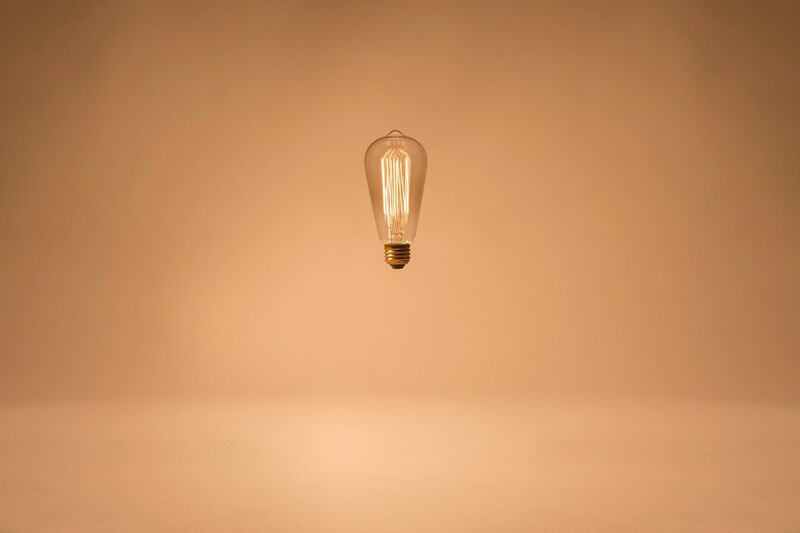 To be able to keep the ability for innovations, businesses should learn how to use the resulting opportunities to their advantage. It is important that the digital transformation is taken seriously and that it takes precedence over other pressing matters within the company. This is no short-term trend that will disappear sooner or later – no, this is the future. Therefore, the potential of a digitalization within a business should be evaluated at the level of the managing or board of directors. Usually, the focus would be to increase the client usage of the company’s products and services by using digital technologies. 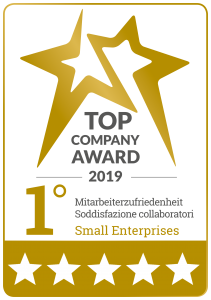 Additionally, it is imperative that the company also invests in the digital competence of their employees. They should receive the right training and schooling. Especially older generations should be supported to lose their fear of computers and modern technologies. Any new employees should also have some digital know-how. Companies are able to significantly increase their efficiency through digital data and digital processes. It can be a huge challenge to find the exact data, which has the power to bring the business economically forward and which would make the most sense, from the large data pool. Use the digital transformation to your advantage by integrating your business strategies. With the Limendo House of Strategy you will be able to critically test your strategy and develop it further. In strategic areas you should also plan for the digitalization and digital transformation. On top of that, you will have to incorporate the potential of the digital transformation into your structures as well as your processes and transaction systems. Many make the mistake to only focus on the potential in the profit margins. However, the bigger advantages for a business are often found internally. Focus on your internal processes. Here, you will find numerous potential improvements, if you look close enough. May it be the document management system, which will make it a lot easier to find documents within your company, or the scanning and managing of incoming invoices – if you take a closer look, you will be able to save a lot of time and money in this area alone. Last, but not least, the digital transformation brings people and also companies back together. It evaluates, what kind of synergies within one branch and also cross-sectors can be established to create a win-win situation. To actually profit from this, it’s important to make this decision today and to prepare your business for the digital transformation. React right now.